The proposed Menkes Waterfront development will include a 25-storey, 763,000 square foot office tower, 300,000 square feet of commercial retail space, and a new residential community. This new community will be anchored by a two-acre park located on the north side of Queens Quay East, between Freeland and Cooper Streets. The northern boundary of the park block will incorporate complementary retail uses fronting onto a future extension of Harbour Street, which presently ends at Yonge Street. The new park is envisioned as an active use space that will serve both the new community and the larger downtown core population. The final design of the park will be subject to a design competition. 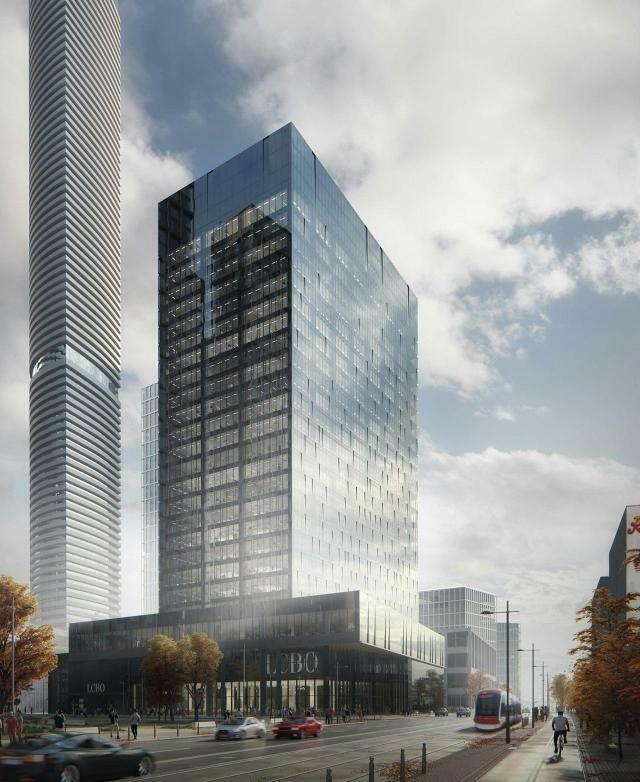 LCBO will be a major tenant of the proposed Class “AAA” office tower located at 100 Queens Quay East, occupying approximately 200,000 square feet, or 33% of the building. The ground floor of the building will also feature a 25,000 square foot flagship LCBO retail store, which will replace the current Queens Quay store. The existing LCBO warehouse operation on the property will be moved off-site. The proposed new office tower has been designed by B+H Architects, with the objective of achieving the highest standards in environmental sustainability by striving for LEED Platinum certification. Leadership in Energy and Environmental Design (LEED) is an internationally-accepted rating system that recognizes excellence in the design, construction and operation of green buildings.